← Friday 14th November 2014 – Hello allotment, it’s been a while! 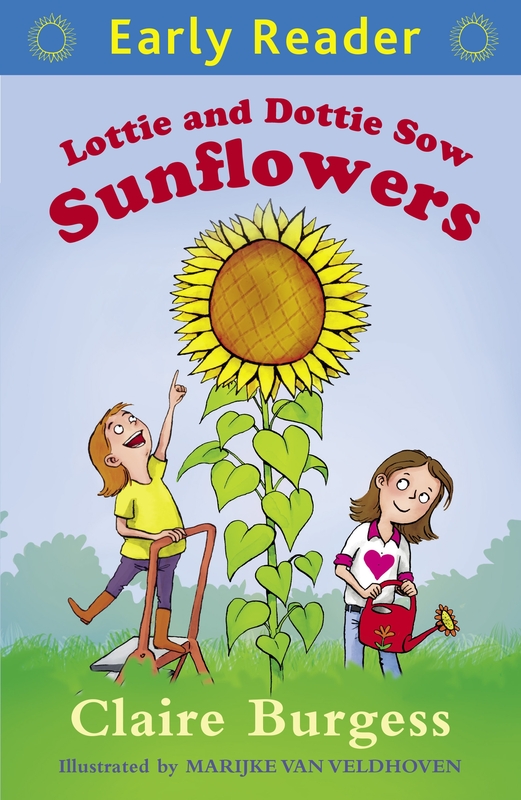 Lottie and Dottie Sow Sunflowers. Yes it’s my next book!! As Mark said to me “You now have a series! !” Two books counts as a series, right? You can pre order it from All good Booksellers, Waterstones online or from Amazon either on Kindle or in book form. So if you’ve enjoyed the first one, the second one is just as sweet and lovely. It’s published on 7th May next year, but why not be the first one to get your hands on a copy. Make sure you have a packet of your favourite sunflower seeds ready, so you can grow some as well. The front cover, and all the pictures inside have again been so wonderfully drawn by Marijke. I wouldn’t have a book without her, her drawings are perfect. How Tall will yours grow? 1 Response to Lottie and Dottie Sow Sunflowers. Congratulations Claire. You’re on a roll!